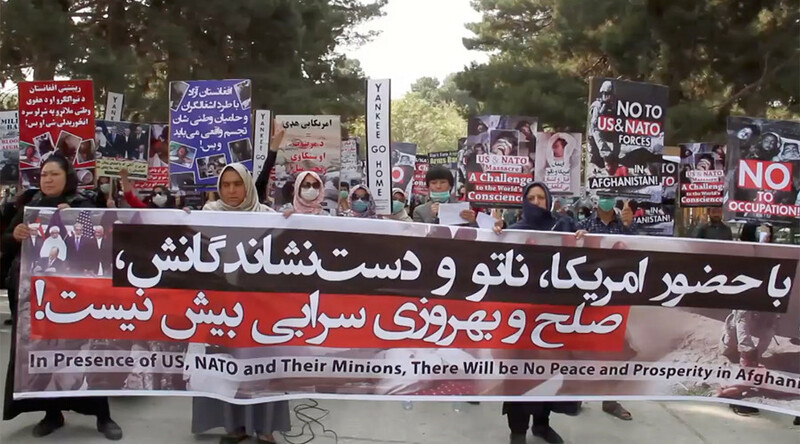 The demonstration, in which both male and female protestors took part, was organized by the Solidarity Party of Afghanistan. The leftist Solidarity Party of Afghanistan is fighting for women’s rights, secularism, and the expulsion of the US and NATO from the country. US troops invaded Afghanistan on October 7, 2011 with the aim of fighting terrorism, following the 9/11 attacks. The 16-year stay in the country became the longest war in US history, in which over 2,400 American troops have lost their lives, according to official figures. However, according to the UN, it’s the Afghan civilians who have been paying the highest price for the conflict, during which thousands have died. The civilian death toll has reached record numbers this year, with 1,662 killed in the first half of 2017 alone, according to UN Assistance Mission in Afghanistan (UNAMA). 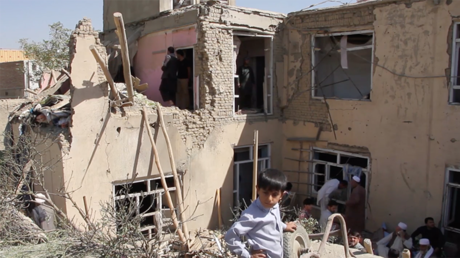 UNAMA also noted an increase in civilian casualties, especially among women and children, from US and Afghan airstrikes, saying that it documented 95 civilian deaths and 137 injuries in such operations. During his visit to Kabul in September, US Defense Secretary James Mattis announced a boost of almost 4,000 more soldiers to the American military contingent, which would bring the total number of NATO troop in Afghanistan to over 17,000. The US says its presence in the country is necessary in order to train the Afghan forces to effectively counter Taliban militants.